Hire our professional gardeners now to get your outdoors space neat and tidy. You don’t have to have a huge plot,we can make a small courtyard look great for you to enjoy anytime. Contact Handy Gardeners and ask for a full list of all of our gardening services. We provide all the help you want varying from a garden clean up to using the services of our talented garden landscapers. We will give your garden a makeover that you will be proud of. Our team of gardening experts is fully trained in all aspects of gardening including the planting of flowers, vegetables, shrubs, weed control and lawn restoration and repair. We are the best in the area when it comes to gardening work. We can also offer garden clearance services to remove waste and rubbish when you want a clear out of a garage or shed. In addition you may want a patio constructing, a new pond creating or a new wall building. We can provide all kinds of garden constructions and will deal with everything from supplying the materials to doing the work and clearing away the mess. All of our gardening services are done to a high standard to improve the appearance of your backyard. You will be impressed with our affordable costs.Our work guarantees to bring you peace of mind. Call us now and ask for more information from our friendly and helpful staff 020 3744 0111. Deptford is sometimes known as an artist’s area, and is increasing in popularity with new artists and studios which are cropping up by the old docks. The area has a lot of charm and a huge assortment in traders varying from fruit and veg sellers and pie and mash shops. Lewisham has plenty of popular high street fashion shops and large markets that sell absolutely everything from electronics to flowers and food. There is also the Lewisham art house if you want a change for shopping. Greenwich is an attractive part of this area and has a number of world heritage sites to explore including the National Maritime Museum and the Old Navel College, and don’t miss the fantastic views over London from the Royal Observatory. Greenwich has markets and the Greenwich theatre which puts on quality productions. There is also the old riverside pub to enjoy; one in particular is the Trafalgar Tavern is famed for its diners which include distinguished peopled form the past such as Charles Dickens, William Thackeray and Wilkie Collins. The famous Cutty Sark which has recently been restored and a new visitor’s centre been introduced, to demonstrate what it once looked liked when it was the world famous tea clippers ship is also worth a visit. Brockley is a leafy suburb with cafes, bars, pubs and restaurants, market and a listed Ballroom. Peckham is up and coming with nightclubs and musical events. There is also the famous selection of butchers, fishmongers and grocers which makes it a great spot to find those unusual ingredients. Canada Water has all of London’s major attractions and some excellent entertainment including the Odeon Cinema and the Hollywood bowl. Are you in need of season work to prepare your garden for the better weather or a complete revamp to create a new look outdoors? If so call 020 3744 0111 now and discuss with our experts our gardening services. We are the best and can help in all gardening situations. Are you finding it hard to keep on top of the grass cutting and other chores involved in gardening? Then hire Handy Gardeners! Our gardeners can help with anything so just contact us and ask for more information concerning our services. You don’t have to worry that our costs will be too expensive our rates are fair and competitive. All of our services are done to a high standard that you will be happy with. You can ask for as much or as little help needed from us. From a general tidy up to a complete landscaping project we can assist. We are here to help get you garden looking great so make sure you get in touch. 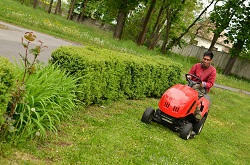 There is no need to worry whatever service you choose will be done and sorted by our team of gardening services. We will give you a garden that you have always dreamed of. So call us now and arrange a meeting with our professionals. The southeast of London or SE south eastern post code areas cover the south eastern parts of the area including the Borough of Southwark, Lewisham, Greenwich and some northern parts of Croyden, Bexley and Bromley and the eastern parts of Lambeth. South East London is one of the best areas of the city of London to explore and consists of Bexley, Bromley, Greenwich, Lewisham and Southwark. Until 1750 the only access to the area was using the only one crossing London Bridge. The area has lots to see with dense streets crammed with a huge choice of churches, warehouses, wharves, and cobbled lanes to discover. It is a stunning area and has a wonderful atmosphere with a good choice of mid price accommodation, pubs, bars, cafes and restaurants. The area is lively and modern which can be experienced from the bustle and liveliness from the daily commuters. There are many famous landmarks in this area including the Shard-the tallest building in Western Europe, the Tate Gallery, National theatre and the London Eye. 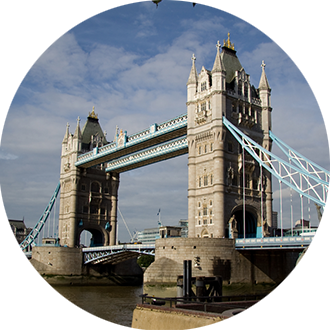 The Thames and surrounding waters dominates this area and there are stunning walks, and buildings that grace the area. The naval buildings from the 17th century and the Royal observatory where Greenwich Mean Time started are also an interesting sites. The area has good transport links and is a great place to visit with so much to see and do.